Whether you refer to this magical place as Ile Bourbon, Ile de la Reunion or even La Petite France as it is sometimes referred to as, you will fall in love with its volcanic landscapes and clear blue lagoons, the wild adventures, colourful cuisine and the wonderful Creole people that call this island home. 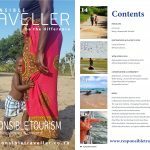 If you’ve never been, these 10 reasons should get you there soonest, and if like me you’ve been before they’ll get you longing to be back as soon as you can. Reunions Island’s 22 km of coastline varies from white sandy beaches and turquoise lagoons in west to the dark volcanic sand beaches and impressive stretches of basalt that were formed when molten lava flowed into the sea in the east. 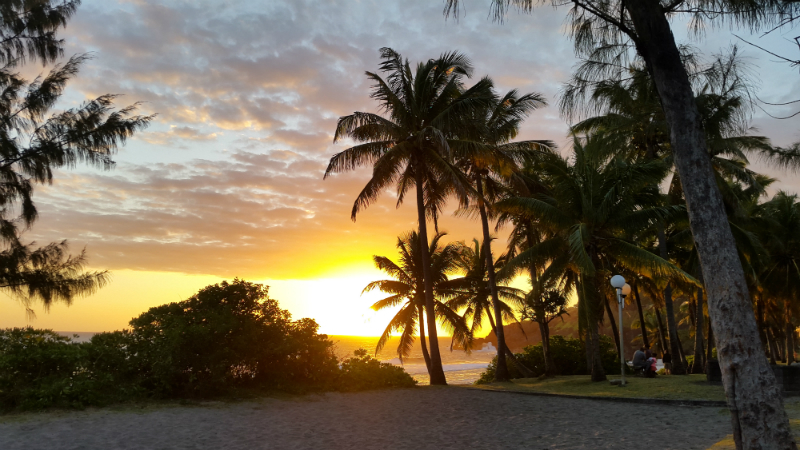 Our introduction to the white sandy beaches of Saint Gilles on the west coast of the island had to wait until morning as it was evening by the time we checked in to the luxurious HOTEL LUX SAINT GILLES. These white sandy beaches give way to the aqua blue waters of a wonderfully warm lagoon, perfect for stand-up paddle boarding (SUP), kayaking in transparent boats and snorkelling – or just laze on the beach, indulge in ice-cream or sip rum laced cocktails at LE K’BANON Restaurant. The island of Reunion was birthed a relatively short 3-million odd years ago through a series of volcanic eruptions, and to this day the island continues this tendency and is home to the world’s most active volcano, the Piton de la Fournaise. Most would live in fear of dwelling in such close proximity to an active volcano, but here locals refer fondly to her as le volcan, much as one would a favourite aunt… perhaps because they are predictable, and somewhat relaxed. 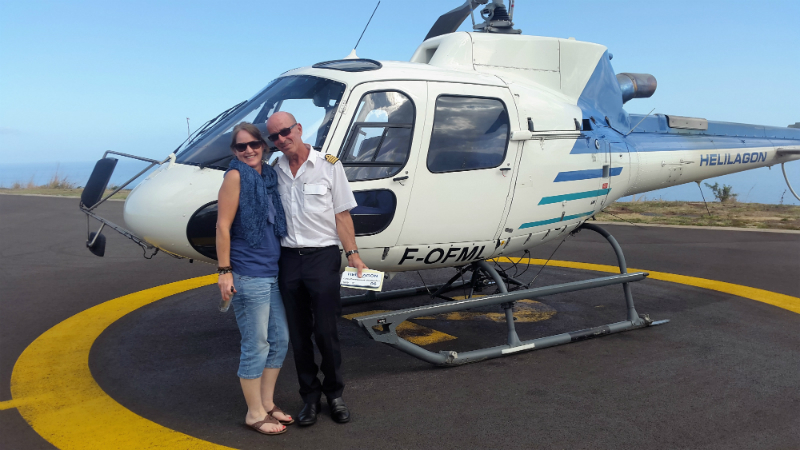 No visit to Reunion Island would be complete without a volcanic experience, and the best way to start, albeit a tad costly, is with a scenic helicopter flight. 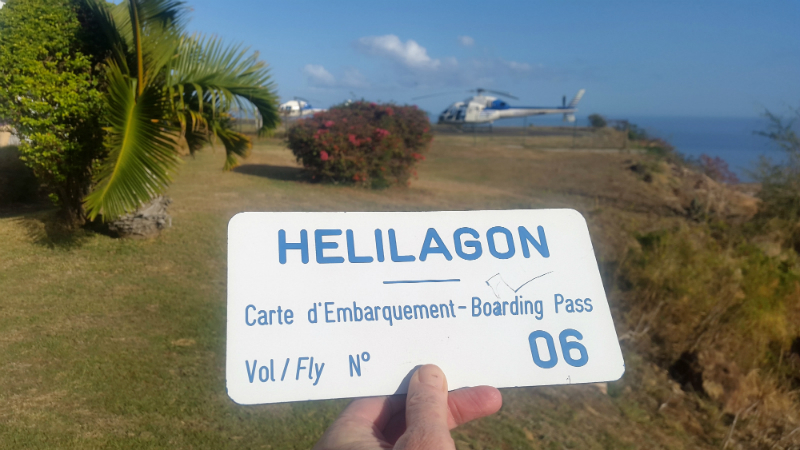 Our tour began at the HELILAGON base in L’Eperon in Saint Gilles… boarding pass in hand and weight assessed (yep, size does matter), the safety instructions began. Soon the whop, whop, whop of the rotors increased and we slowly rose – that was the only ‘slow’ thing about this, from there onwards it was excitement and awe all the way. 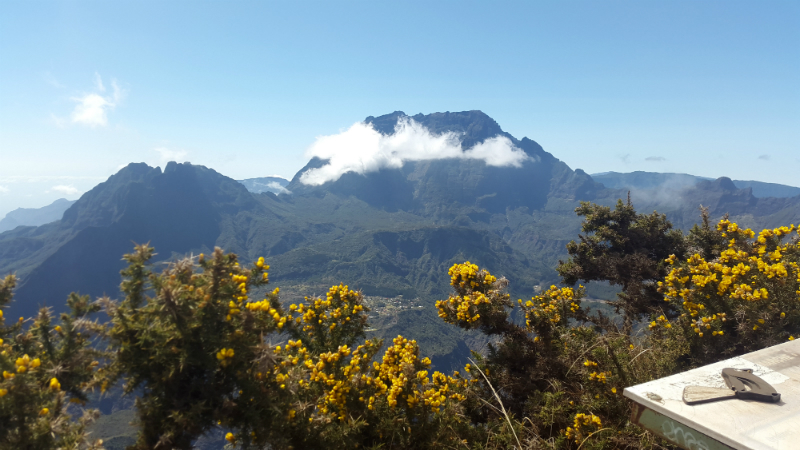 Rolling hills and sandy beaches gave way to rugged volcanic mountains and verdant valleys as we descended into the Cirque de Mafate, one of three cirques formed by the Piton des Neiges – the now extinct volcano that gave birth to Reunion Island. Tiny hamlets dotted the valley, which is only accessible on foot or by helicopter; this wild and rugged cirque is a favourite with hikers and mountain bikers who revel in both the adventure and the dramatic landscapes these natural amphitheatres create. Our skilled pilot Pierre flew us breathtakingly close to the cascading waterfalls of the Le Trou de Fer, or Iron Hole, – twice. The main waterfall of the Le Trou de Fer, that of the Bras de Caverne River, plunges a dizzying 300m over the canyon edge and is joined by at least six others – smaller, but no less spectacular. The cascading rivers and thick green foliage of the cirques soon gave way to the moonscape surrounds of the Piton de la Fournaise. The Piton de la Fournaise, meaning ‘Peak of the Furnase’, is on the eastern end of Reunion Island and rises an impressive 2,630 meters above sea level. Seeing this sleeping giant and barren landscape from the air makes one realise the incredible power and might of nature; there had been an eruption a week earlier, but all that remained was a smoldering crater. A number of smaller volcanic craters lie within the caldera, with Formica Leo, so named for being similar in shape to the pitfall built by an antlion, being accessible from the view site. A hike to Formica Leo would have been a highlight on our itinerary, but we had to be satisfied with seeing her from afar as the hiking trail was closed due to the recent volcanic activity (just one of the reasons I have to go back!). Driving the Route du Volcan is spectacular, and takes you through agricultural farmland in the lower valley, lush vegetation and spectacular views as you climb higher, and finally low growing mountainous scrub that as you crest the ridge, gives way to the desolate red landscape of the Plaine des Sables and the Piton de la Fournaise view point. For an ‘up close and personal’ volcanic experience there’s nothing better than heading underground through the lava tunnels. We met our RICARIC guide alongside the Route des laves and before long we were geared up knee guards, helmet and headlamp ready for our descent into the underworld. 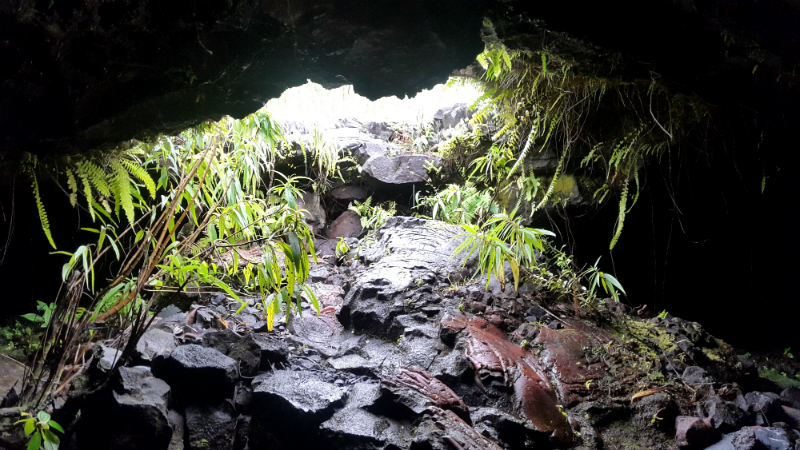 We were exploring the tunnels created by the lava flow of 2001 – clambering over the black folds of lava rock and marvelling at resilience of nature, before entering through a nondescript opening. Another world greeted us. Shadows danced across the shimmering tunnel walls in the light of our guide’s ‘naked flame’. We were walking through tubes created by ribbons of molten lava, our guide, a trained speleologist, explained that the lava stalactites were formed while the lava was still active, and if broken would never repair themselves. He pointed out where a tree, caught up in the lava flow, had burned away leaving a cavity. ‘Should have taken those gloves’ went through my mind as we crawled through a narrow section towards the exit. It’s hot and slightly oppressive, but so very worth it! 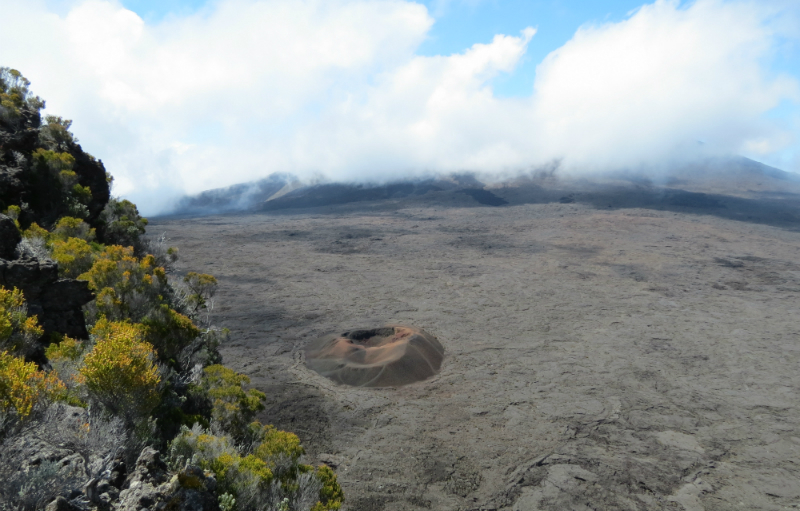 This eastern side of the island has had a number of encounters with le volcan over the years, some like those of the 2001 and 2007 eruptions that cross the N2 highway and flow into the sea, others like the eruption in 1977 pose a slightly greater threat. On this occasion the lava flowed into the village of Sainte Rose, destroying several buildings and surrounding the local church – it stopped, miraculously some say, at the door of the church that is now called Notre-Dame des Laves (Our Lady of the Lavas). 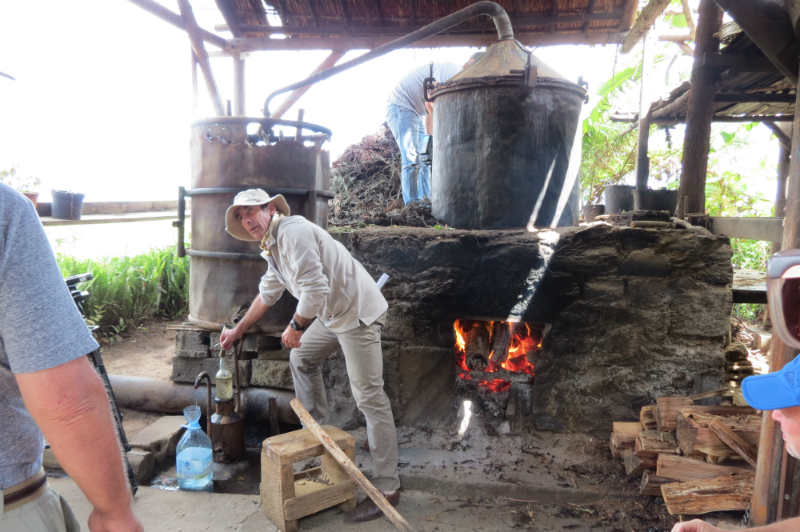 There are a number of traditional essential oil distilleries in Reunion. On one of the many bends in the Maido road we came across the Boutique Artisanale of the Famille Begue, the L’ALAMBIC. We were transported to a yesteryear kind of place with piles of greenery, and a processing plant that would not have been out of place a century ago. 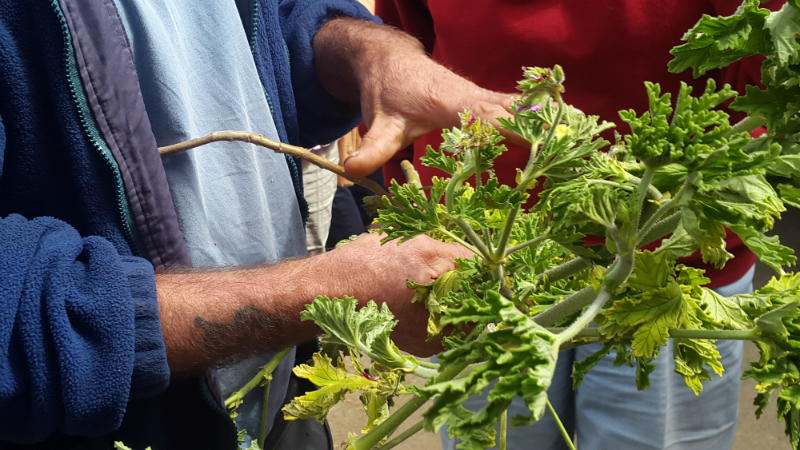 Monsieur Begue explained that it takes about 300kg of fresh geranium to produce 100-500ml of essential oil, depending on the season and quality of the plant. And how the piles of greenery are heated in large copper vat and through a relatively lengthy process of heating and distillation produce the liquid rose geranium essential oil. Pop into the craft shop alongside to taste geranium jelly, ginger jam and to stock up on aromatic soaps and oils. The other fragrance one associates with the Indian Ocean islands is vanilla – a spice not an oil, but equally pleasing. Driving along the road towards saint-Philippe, if you look carefully, you can see vanilla vines climbing up the palm trees planted in groves alongside the road – this became significant a short while later as we dined on palmiste salad (Heart of Palm) and relished the subtle flavour of vanilla chicken casserole at CHEZ MOUSTACHE, an authentic local restaurant. Even in your hotel, you cannot escape the beautiful fragrances of the islands… the PALM HOTEL & SPA had me breathing deeply as we entered the Akea Spa where ylang ylang filled the air, lathering longer than necessary, indulgently breathing in the subtle frangipani of the body wash, and enjoying the lingering air of jasmine on my body as I slipped between the crisp white sheets. 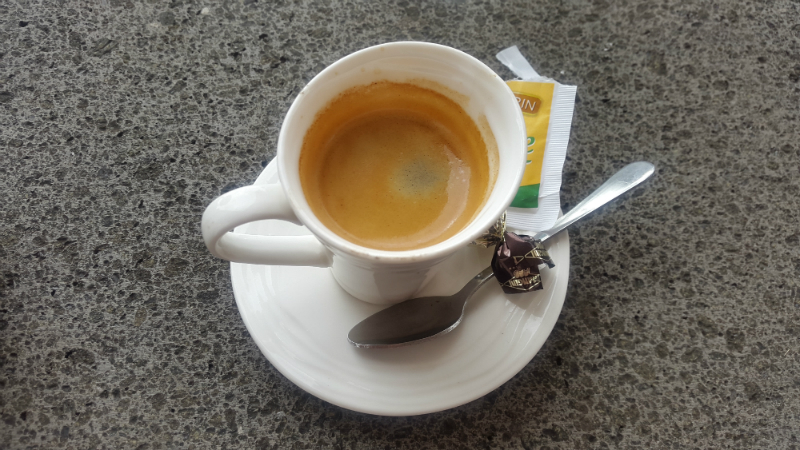 Our visit to the LE DOMAINE DU CAFÉ GRILLE was meant to be about plants, which it most certainly was. 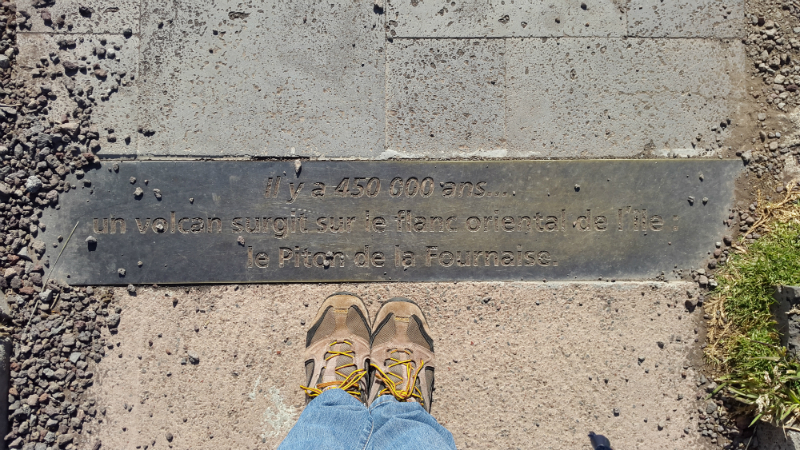 But to me it was more about the coffee I discovered there… As we discovered, this was not an obvious walk along a garden path, but rather a step into the history of Reunion Island through its agricultural heritage and botanical curiosities. From crimson orchids and giant lobster-claws to ‘Buddha’s Belly’ bamboo, exotic fruits and cacao. Chocolate and coffee are really good companions, so it was obvious that the Coffea arabica would follow thebe planted alongside the cacao. But it was the story of the Pointu de Bourbon that catches the imagination. Bourbon pointu, a product native to Reunion island, and one of the world’s most expensive coffees and has a history dating back to 1715. At this time Coffea arabica plants were brought from Yemen to Reunion, which at that time was under the possession of Louis XV, King of France. These plants thrived and after time took on their own identity – the Bourbon pointu coffee was ‘born’ and Reunion became one of the main suppliers of coffee to Europe at that time. 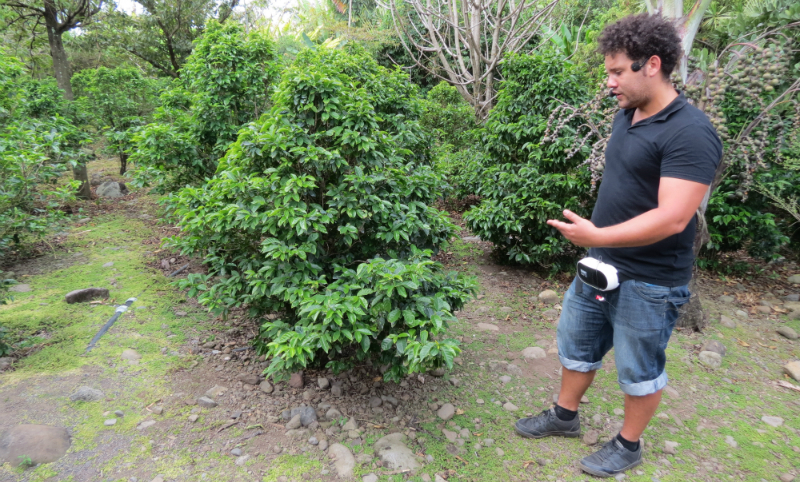 And as with all stories, there must be a curve ball or two… by the 1880s cultivation had virtually ceased and it wasn’t until early 2000 that Japanese coffee guru, Mr Yoshiaki Kawashima arrived in Reunion with a plan to ‘revive the coffee of the King’. The surviving plants, just 30 of them, were carefully extracted and cultivated in nurseries. Today there are around 60 growers of the famed Bourbon pointu, one of which being the le Domaine du Café Grille plantation. What makes this coffee exceptional is its low level of bitterness and its naturally low caffeine content – this quality clearly comes at a price, selling at 200 euro per kg. After our tour we browsed the delightful craft shop, breather in the aroma of roasted coffee and sipped on an authentic cup of Pointu de Bourbon while our guide Sebastian entertained us with the traditional music of the Island, playing the Kayamb and singing a Maloya song – a song brought to life by slaves in the days gone by. 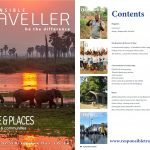 This Island is a melting pot of cultures and the unique local flavours have their roots in French, Malagasy, Chinese and Indian cuisine. Whether you choose to dine at your hotel or in local restaurant you’ll no doubt always have something authentically Reunionese on the menu. A palmiste salad is usually served as a starter, the Heart of Palm is slivered and served with a dressing. 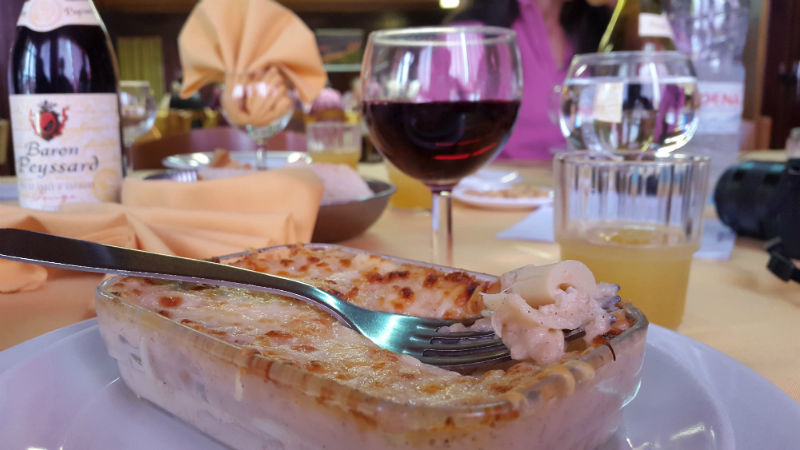 We did however have it served hot as an au gratin at the AUBERGE DU VOLCAN… which was delicious on a chilly damp day. As a main course, the Reunion speciality is the ‘cari’, a Creole dish where many ingredients are simmered together with Indian spices. Traditionally made with meat (including goat – which was delicious), poultry, fish and seafood and eaten with rice, beans and rougail, a spicy condiment with tomatoes, onion and chilli. Dining at AU K’BANON, overlooking the beach and the L’Ermitage lagoon, was a little different. 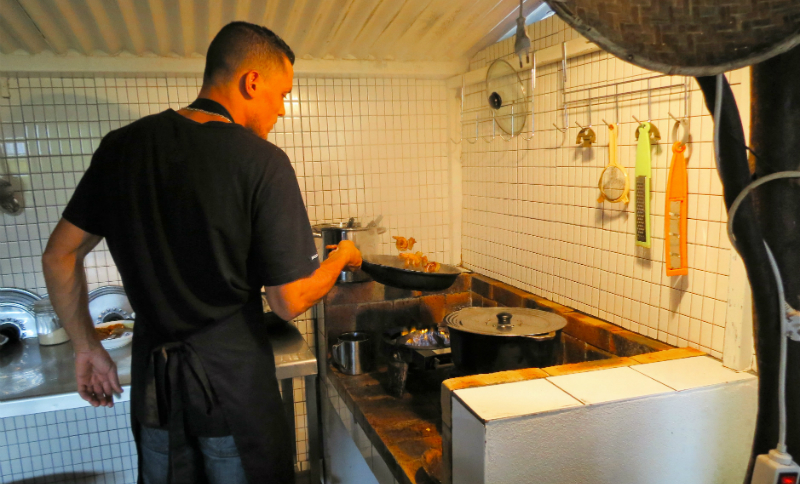 As one would expect at somewhere more beach shack that restaurant, rhum cocktails preceded delicious fresh seafood – salmon tartare and calamari salad prepared the local way and served with a pickled salad. 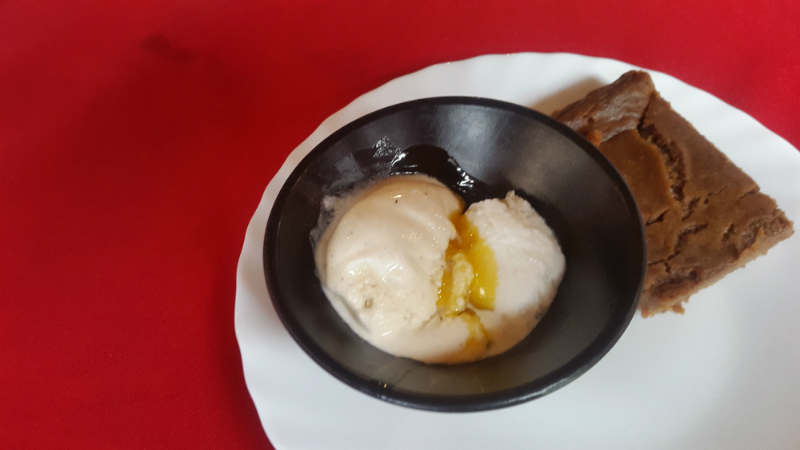 Desserts are often fruit based, such as AU K’BANON’s delicious passion fruit-mango-vanilla cheesecake, or the flambéed bananas at AUBERGE DU VOLCAN or wonderfully smooth ice cream flavoured with the subtle taste of vanilla at CHEZ MOUSTACHE. A great way to end a meal (or even start it), is with Rhum arrange – a spiced rum infused with fruit and/or spices, like vanilla, cinnamon and ginger. 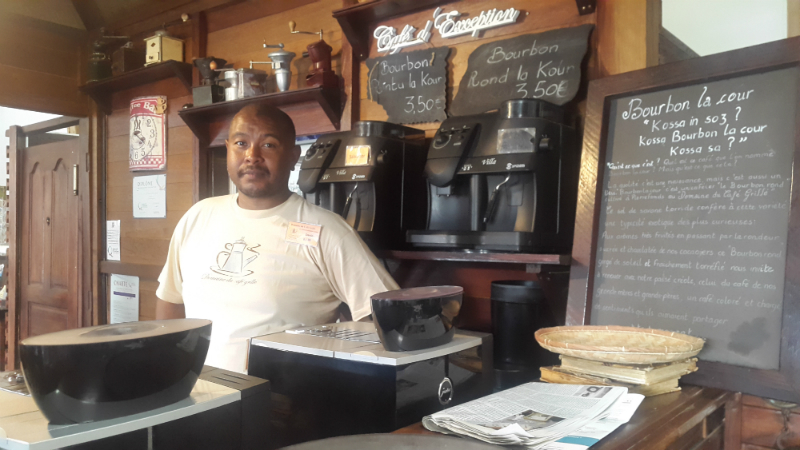 And in Reunion, you’re never too far from the island’s best brew – Bourbon beer, fondly referred to as La Dodo. 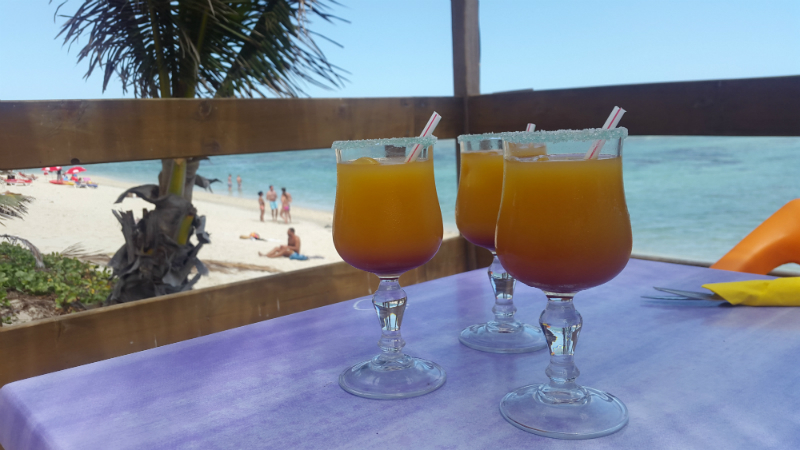 It is made from local ingredients, is unique to Reunion and is enjoyed overlooking the ocean, after an exhilarating adventure and, quite honestly, whenever you get the urge. 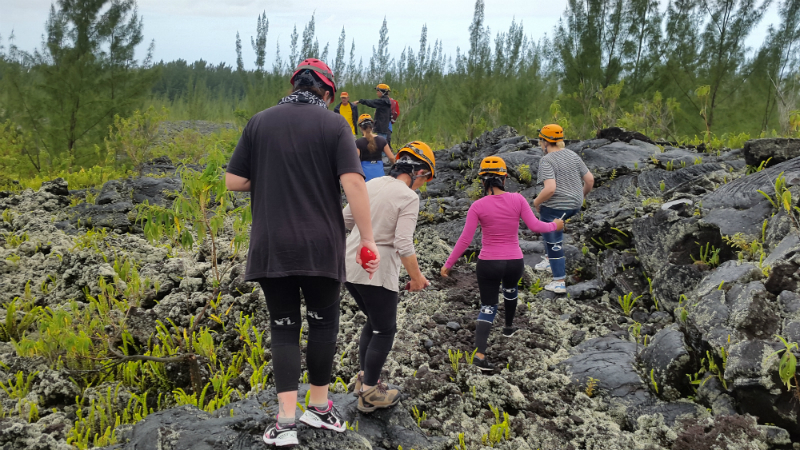 Reunion Island offers much for the adventurer, from hiking trails and mountain bike routes, to paragliding, diving, mountaineering and canyoning. 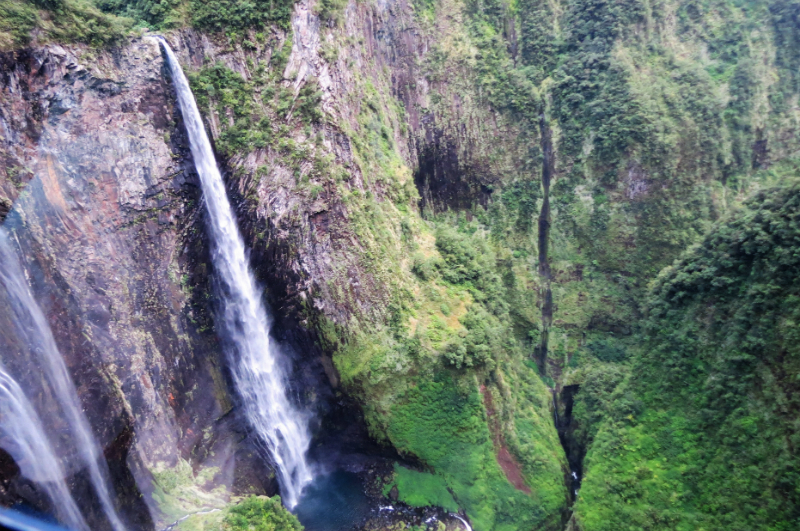 Our epic adventure on Reunion was aquatic hiking, deep into the valley of the Langevin River and at the base of the spectacular Grand Galet waterfall. On arrival, Yosh our guide from RUN ADVENTURES, soon had us kitted out in wetsuit, life jacket, helmet and the final blow to style, a bright blue piece of plastic, worn like a nappy – at least we rocked the primary colours! Reunion National Park comprises no less than 42% of the island, and in 2010 was declared a UNESCO World Heritage Site under the name ‘Pitons, cirques and ramparts of Reunion Island’ – essentially the core mountainous and volcanic region of the island, a natural habitat with a wide diversity of plants found within its subtropical rainforests, cloud forests and heaths. A great spot to view the spectacular Cirque de Mafete is from Le Maido viewpoint – at a height of 2205m above sea level, it is best to visit early in the morning before they cloud In addition to the Reunion National Park is the 20km of protected lagoon and Marine Nature Reserve of the L’Ermitage, perfect for underwater adventures. 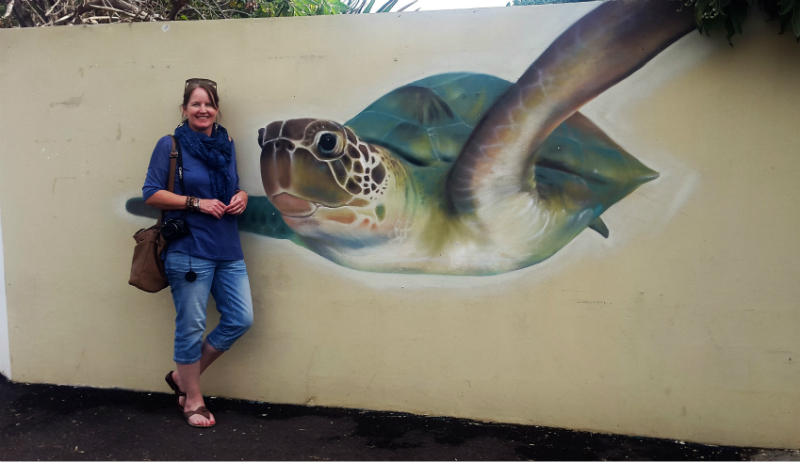 For an exceptional introduction to marine conservation, a visit to KELONIA, the observatory of marine turtles in Saint Leu is a must. What started out as a breeding programme for the commercial use of marine turtles is now a marine turtle sanctuary. The vast tanks of sea water house rescued turtles, recovering and when ready released back into the ocean. The educational facilities and aquarium like tanks enable visitors to get a close look at these magnificent and endangered species. 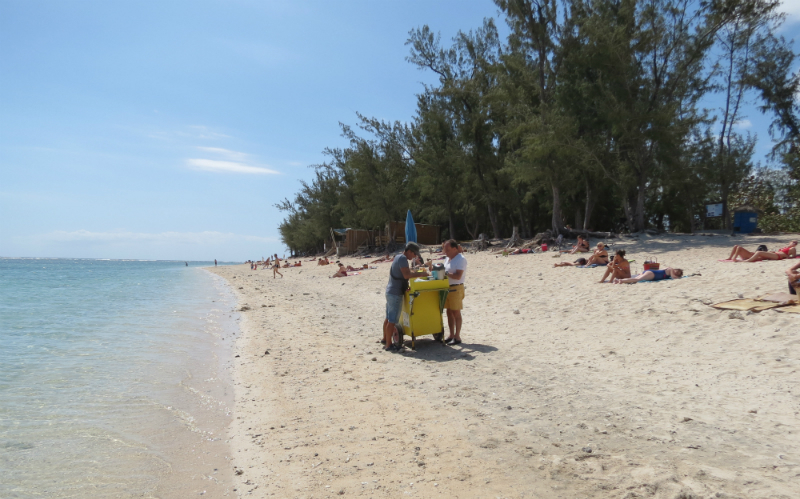 First occupied by the French in 1638, named Ile Bourbon in 1649, and then Ile de la Reunion in 1793, Reunion Island has a rich history and an interesting past. French colonisation and the subsequent agricultural development resulted in the importation of slaves from Africa, China and India. 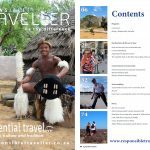 Slavery was finally abolished in 1848, but many foreigners still came as indentured workers – this melting pot has resulted in the wonderful cultural diversity, that is expressed in the islands architecture, dance and cuisine. Stay at the historic LE JULIETTE DODU hotel in Saint Denis, a listed building and historical monument dating back to East India Company, and the birth of national heroine, Juliette Dodu – born in Reunion in 1848. Juliette, at age sixteen, left the island with her mother for France and as the story goes, during the course of the France-Prussian War of 1870 she became a symbol of the French resistance for setting up a wire-tap and intercepting Prussian transmissions, thus saving the lives of thousands of Frenchmen. All of the museums in the north of the island are found in Saint-Denis. Stroll along the rue de Paris and check out a few of the 100 plus historical monuments, from the Musée Léon Dierx, which was the bishop’s palace until 1912 to the art gallery, L’Artothèque and the Maison Carrère, a creole town house offering a glimpse of what life was like in the 19th century. 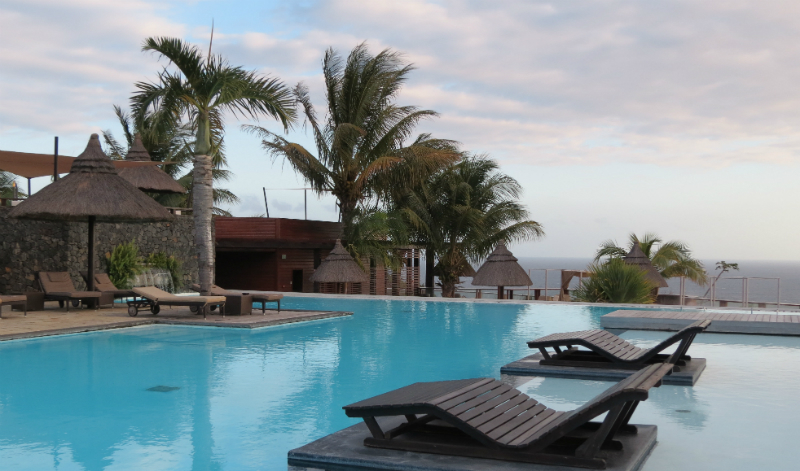 From lazing on the beach, to pampering spa sessions for two, Reunion offers a choice of romantic and luxurious places to stay, from the LUX SAINT GILLES on the west coast to AKOYA HOTEL & SPA and THE PALM HOTEL & SPA further south. 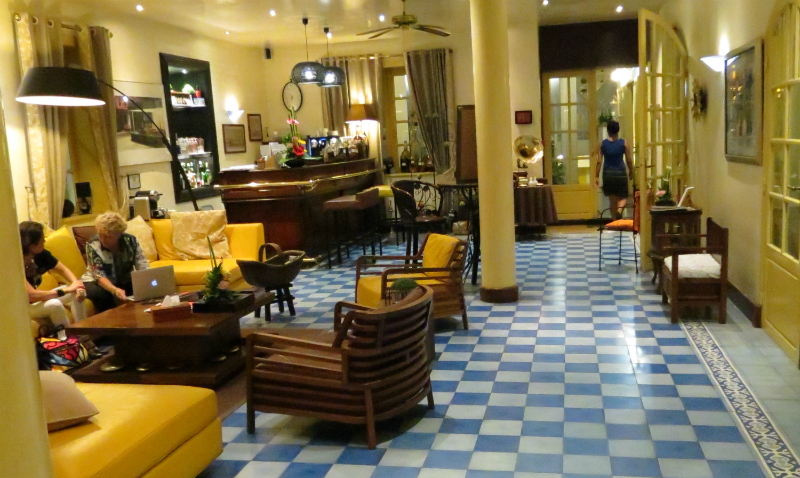 For a more traditional option opt for the historic LE JULIETTE DODU in the Saint-Denis. 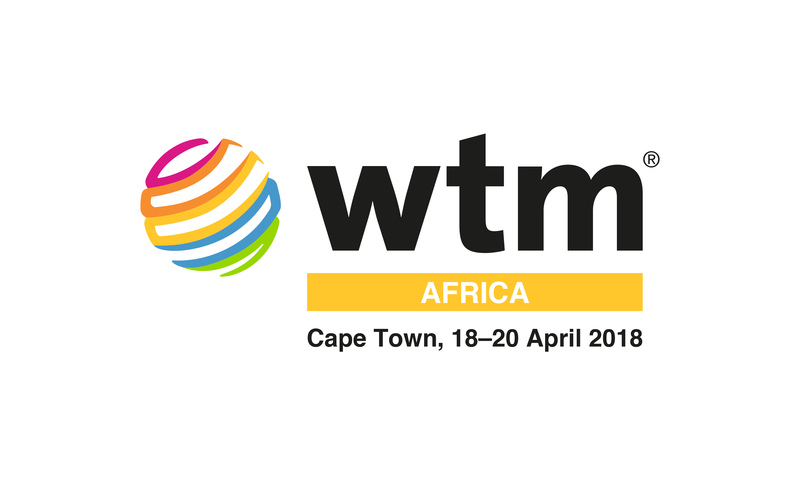 By night there are wonderful restaurants and local cuisine to tantalise your taste buds, and by day hikes through picturesque forests with visits to perfumeries and vanilla farms, mountains, waterfalls and rivers to explore as well as a plethora of adventure activities. 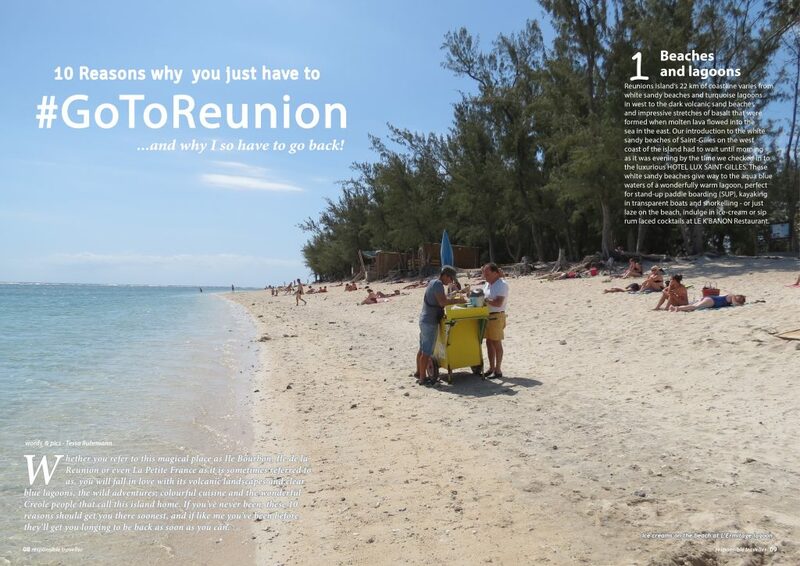 Getting to Reunion Island is an easy four hours aboard and AIR AUSTRAL flight. . Enjoy a light lunch (accompanied by a Dodo, of course) as you’re whisked from Johannesburg to St.Denis. 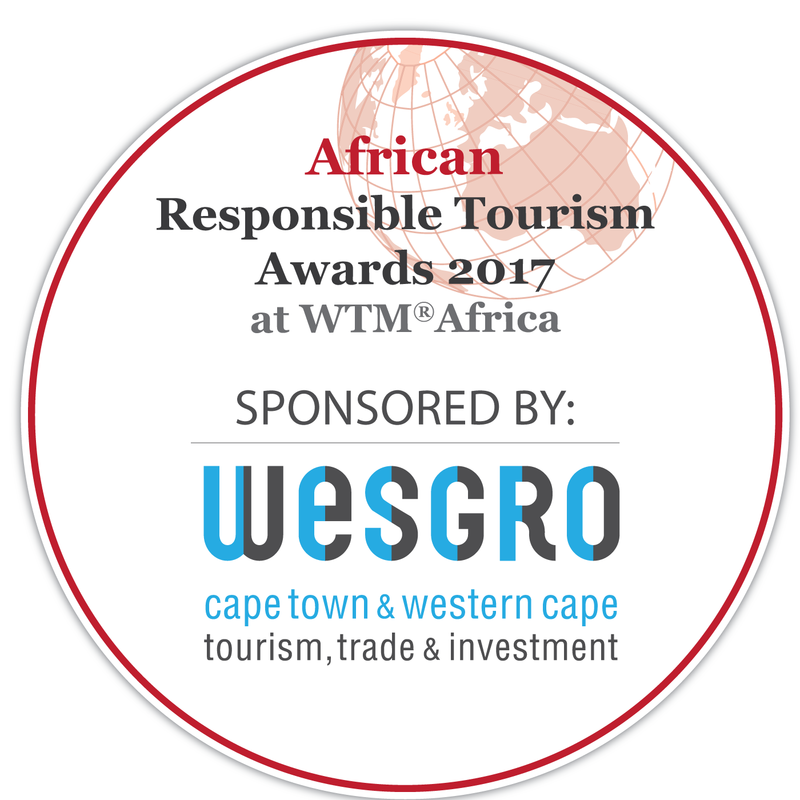 The best part is that you get to fly to a European feel destination at a fraction of the cost… and for South Africans, no visa is required!